I agree that REGIMBEAU can use my email address to send me information. * By default, Sim’UP uses predefined values for the calculations (in particular regarding professional fees and translation costs). You can enter your own calculation parameters to be used by the simulator. Your web browser does not support storing settings locally.In Safari,the most common cause of this is using \"Private Browsing Mode\".Some settings may not save or some features may not work properly for you. 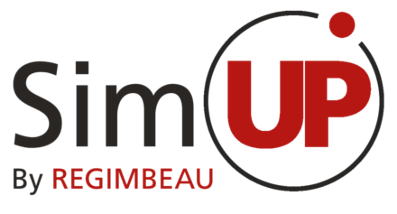 This completely free online tool – developed by REGIMBEAU – enables you to perform budget simulations and compare the post grant costs of your European Patents (EP), with or without the Unitary Effect. The tool takes January 1st, 2020 as the hypothetical application date of the Unitary Effect in 15 countries (i.e. the countries that have ratified the agreement - Austria, Belgium, Bulgaria, Denmark, Estonia, Finland, France, Italy, Lithuania, Luxembourg, Malta, Netherlands, Portugal, Sweden - as well as Germany which is in the process of ratifying it). The United-Kingdom also ratified the agreement on April 26, 2018, but as it will leave the European Union because of the BREXIT vote, which might imply that it will also have to leave the new system, the tool also includes an option to compare the costs depending on whether the United-Kingdom is indeed part of the Unified Patent Court (UPC) and the Unitary Patent system (UP) or not. The Patent system in Europe is likely to undergo major changes with the upcoming entry into force of the agreements establishing the Unified Patent Court (UPC) and the Unitary Patent system (UP). Choosing to validate a European Patent with Unitary Effect will enable a single European patent to be enforceable in each and every EU country where the Unitary Effect is applicable, i.e. in at least 15 countries. Bearing in mind that such Unitary Effect is not available should the patentee elect to opt-out from the exclusive competence of the Unified Patent Court, the costs and abandonment strategy are key factors in deciding a validation strategy. Regimbeau provides value adding advice for all legal and technical problems related to Industrial Property. For over 80 years, our ambition has been to make Intellectual Property a key asset in the development of economic players and project leaders. By placing quality and creativity at the heart of our activity, we focus on giving businesses an edge in regards to the protection, defense and valuation of our clients’ assets (patents, trademarks, designs, contracts, copyrights, etc.) in France, Europe, and around the world. Our teams’ diverse expertise is at our clients’ disposal in order to address the most complex of matters, all the while accompanying them with respect to their day-to-day needs.